Within sensible travelling distance of Surrey Heath Borough. Situated in the north west corner of Surrey, the Borough includes Camberley, Bagshot, Lightwater, Frimley, Deepcut, Mytchett, Windlesham, Chobham, Bisley and West End. There is no charge for joining a walk. If you walk with us regularly then you will be expected to join The Ramblers. As well as the walks programme we arrange occasional social activities. What a difference Ramblers can make. 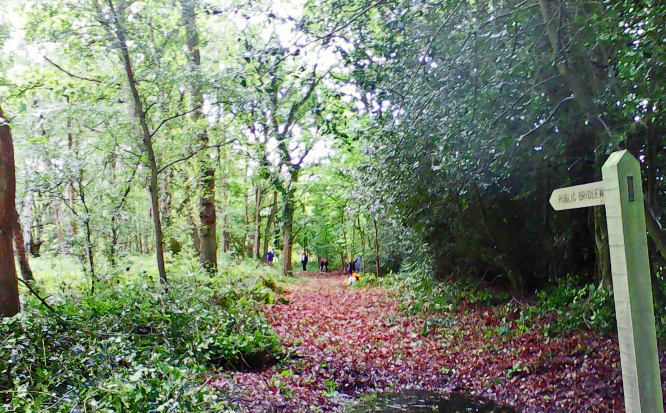 These two photos, taken from about the same place, show volunteers just starting to clear vegetation, and a couple of hours later, the finished path. 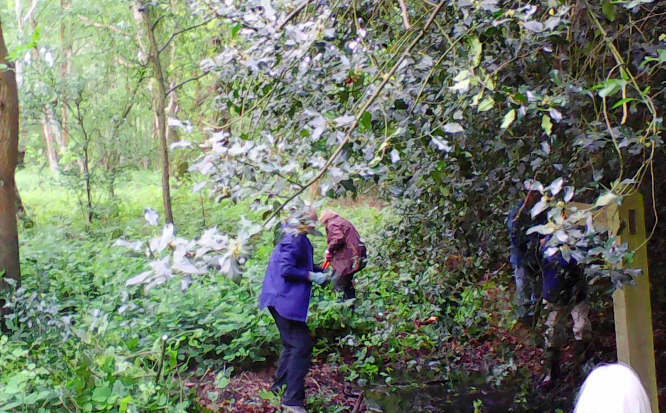 What a difference a few volunteers can make with only gloves, cutters and secateurs! If anybody is interested in a couple of hours of very productive but light work on paths using supplied tools, please e-mail anyone in the contact list on this website. of hours of very productive but light work on paths using supplied tools, please e-mail anyone in the contact list on this website.